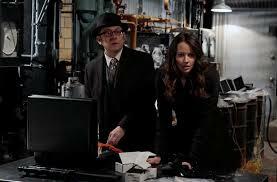 Person of Interest Season 1-5:Thank you CBS, and please continue to support this show!! It's the best and definitely the most timely show on TV right now. Person of Interest particularly in how it deals with issues of technology in society, but unfortunately that show's hit its peak last season. POI is still firing on all cylinders, telling amazing stories with complex characters, and headed in fantastic, unexpected directions--we want more seasons please!!! Person of Interest season 1-5 DVD set is so great!